'We are Whatever' is a dream came true for James and Brett. 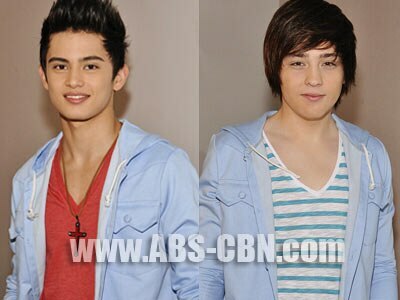 It is a dream came true for the PBB Teen-ternationals James Reid and Bret Jackson as they release their first ever album We are Whatever under Star Records. The album consists of their original compositions which are the result of both hard work and fun. "At first we are just playing around, just having fun," James said. "I just went to his house and we were like, whoa this is cool, why don't we put this on Youtube, we put it on Youtube and it got like 20,000 hits and then we're like, ‘Oh, this might be something.’"
They said that they tried to write songs in Filipino but admitted that they still couldn't express themselves well in the language. "We put a tagalog part in, just because we thought it might help, but to say what we want to say, it's hard, still." We are Whatever contains mostly love songs which made us ask James and Brett who they dedicate this album to. "I guess the inspiration came from the past relationships. There is no particular person I dedicate it to, we made it for our fans, that's why we started this, for our fans because they have been waiting since PBB for me and Bret to come up with this album," James explained. We are Whatever is in digital format and can be downloaded via the Star Records website.